You know you don't know which came first the chicken or the egg? I can't remember what project I did next but I believe this was # 4. Did I get that song stuck in your head?? 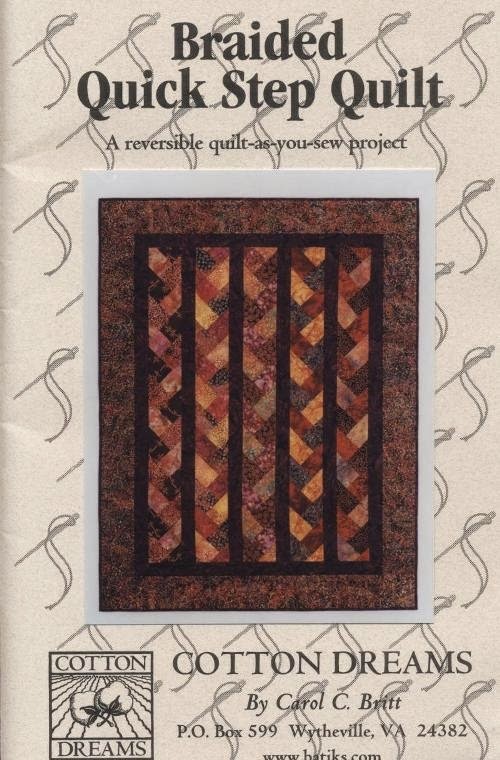 I signed up for a Saturday quilt class at Miss Lou’s, it was a quilt as you go braided quilt. Here is the pattern that we used. It was an interesting and quick technique and you can use fat quarters. 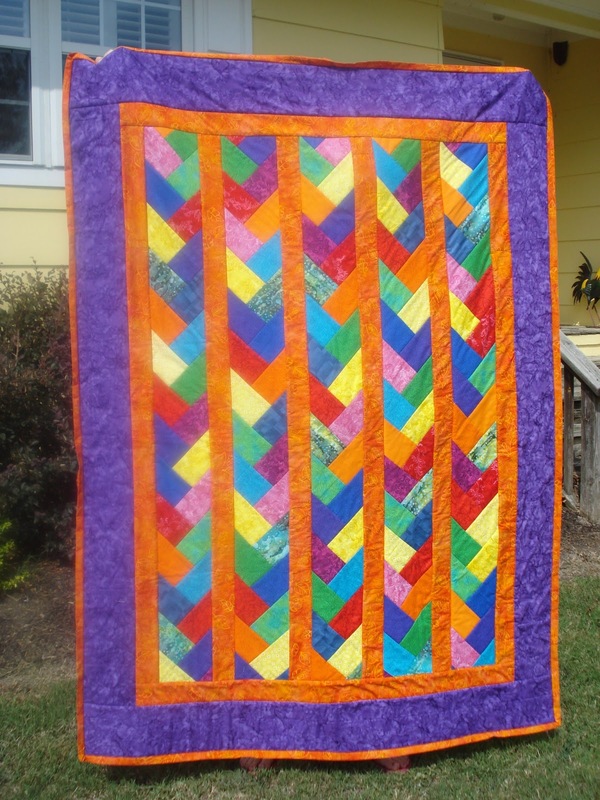 As a new quilter I needed to build up my stash so I joined "Quilt in a Day" Fat Quarter Club. One month I got some really bright rainbow colors. I didn’t know what I was going to do with them. I decided this braided quit would be a good way to use them. Here are the braids cut and sewn. I wish I had taken more pictures of the progress. I will do that from now on. I chose a Krazy purple batik for the border and Krazy orange batik for the sashing. I started to run out of fabric so I decided to do a scrappy back. With all the Krazy colors, Krazy batiks, and Krazy back, I decided to call it Wild Thang....hmmm maybe I should have called it Krazy Thang LOL. And the Krazy scrappy back tada! I gave it to my daughter for her birthday. 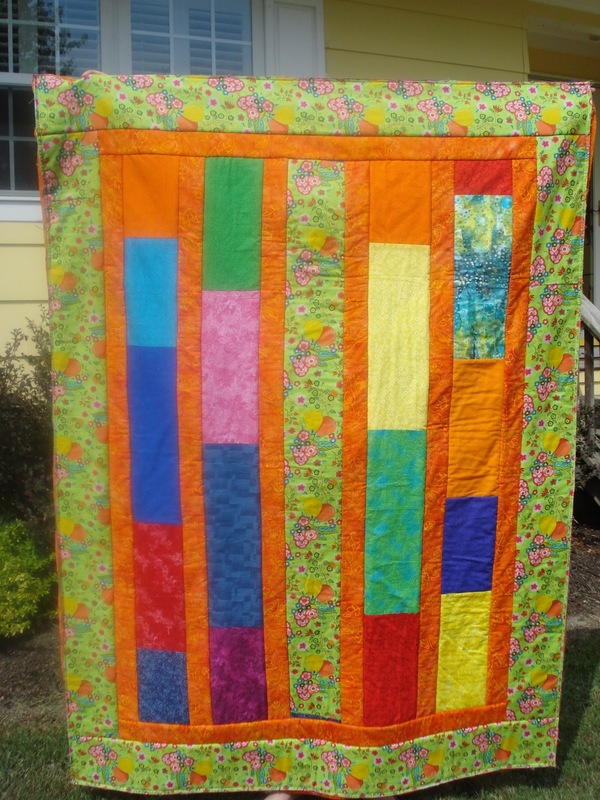 It is her first quilt from Mom. So far ;) Until next time, have a Kwilt Krazy day!